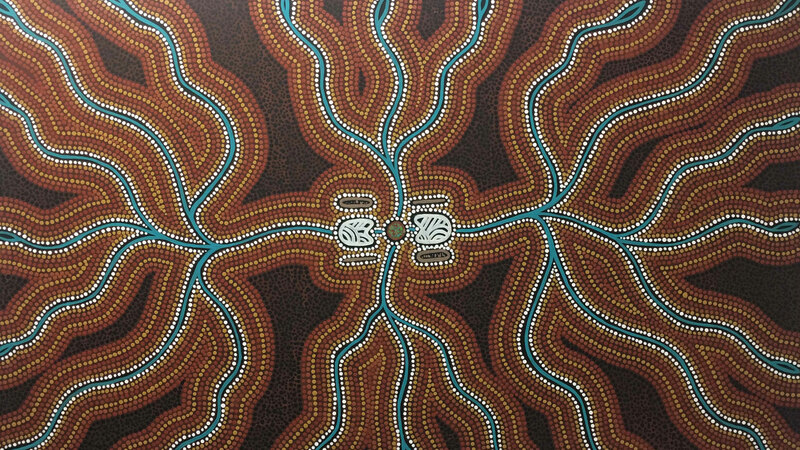 A warm welcome to the newest member of the Illuminance Family; an amazing artwork by Aboriginal artist Beverly Egan! At the heart of every business are the people behind it. At Illuminance, we pride ourselves on our commitment to our clients, our employees, and the people and communities with whom we work and collaborate. Our aim is to serve Western Australia. Our roots are anchored in this land, and in honesty, respect and building genuine relationships across many cultures and backgrounds. Beverley Egan was born in Mullewa on the 21 August 1961. She is a Yamatji woman and speaks the Wadjarri language. She maintains very strong links with her country and traditional culture in the Murchison/Gascoyne Region and regularly returns for family events. Her cousin is Betty Egan and her niece is the well-known artist Loretta Egan. Beverley has lived most of her life in Perth with her husband (who is also Yamatji) and her two sons. She has been painting for over 35 years and has worked extensively with Creative Native to promote and exhibit her work in Australia, Europe and USA. In this painting, Beverly paints two women digging for bush potato. The women use coolamons and digging sticks to get to the roots of the bush potato tree, the roots represent the spiritual connection that all Aboriginal people share with each other. 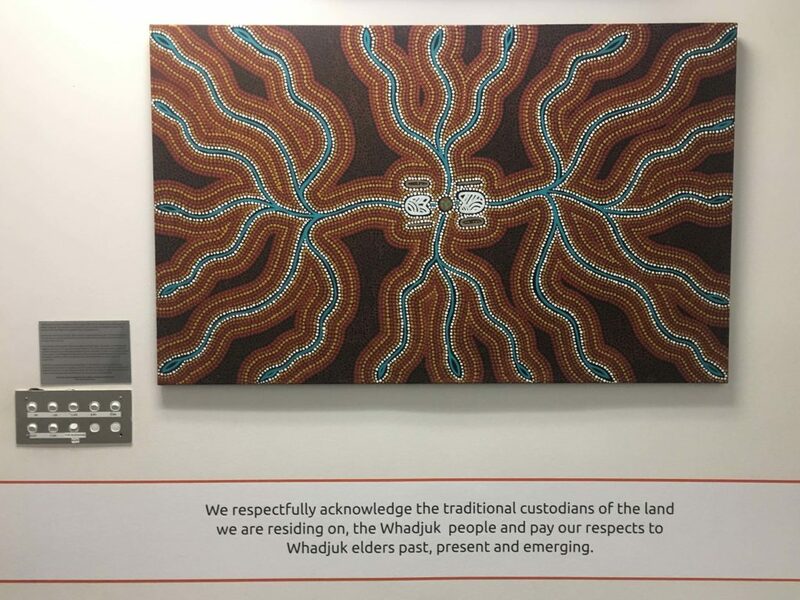 The dots in the painting are used to pay respects to the Aboriginal people, past, present and future who have walked the land sharing knowledge, promoting culture and educating the younger generations on customs, pride and togetherness.